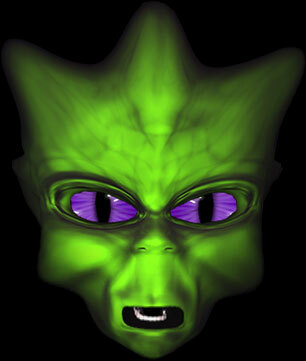 Our free animations and alien clipart images may be used on your web pages including school projects and personal sites such as social media pages. Lots of fun outer space guys on this page including aliens running, flying, beaming up, vaping and even a space alien Santa. Crazy alien driver flying in his space craft. Animation has a transparent background with a light matte. Green alien king on black. The King is a good guy as long as none of those darn blue aliens are around. He doesn't like blue aliens. Beam me up Scotty! There's nothing like the ride in a transporter. 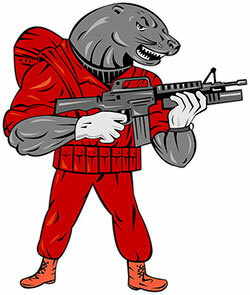 Predator checking out his equipment before battling aliens. This shy space alien has a secret. You might think he is green like the others but really he is yellow. Hope no one finds out. 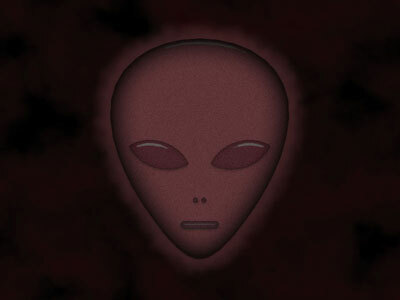 King of the blue aliens with natural crown, red eyes and blue skin on black. The Blue Alien King loves green aliens and is planning a surprise visit to Green Alien Land. Alien soldier ready for battle. 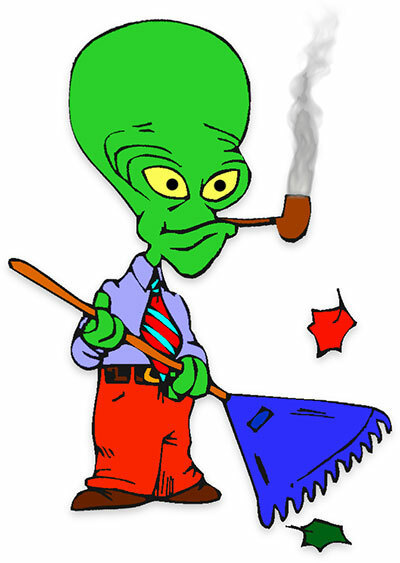 Father space alien doing yard work (don't worry, that's not tobacco in his pipe). 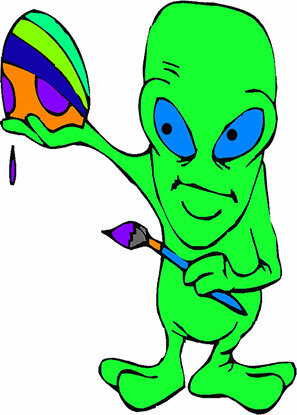 The Easter Alien colors an egg. Blue alien with an interesting walk. 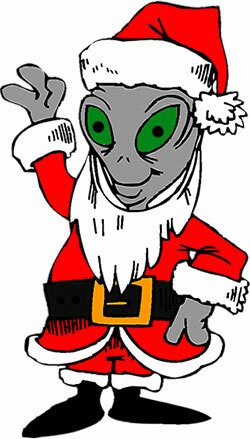 Alien Santa Claus smiling and waving.